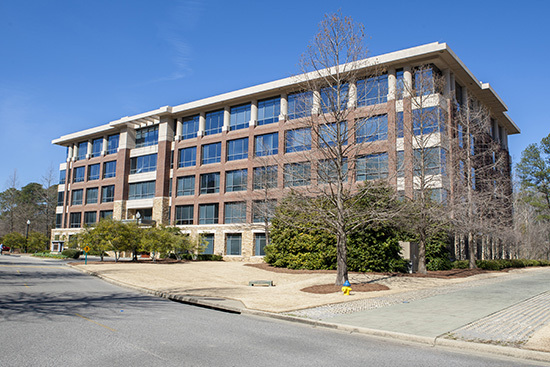 Samford University has completed purchase of an office building at 600 University Park Place. The building is across Lakeshore Drive from the university's main campus and adjacent to the Samford Track and Soccer Stadium complex. The purchase, which was approved by the university's board of trustees in January, was finalized Feb. 21. The property will continue to be managed by Daniel Realty Service LLC of Birmingham. The 5-story building has 122,654 square feet and sits on approximately 12 acres. University officials said the purchase continues Samford's long-standing policy of investing resources in long-term, quality investments. The university's endowment was valued at $268 million at the end of 2013, and real estate investments are part of the endowment portfolio. "This is one of the premier Class A office buildings in the area, and its proximity to the Samford's campus makes it a wise long-term investment," said Harry B. Brock III, Samford's vice president for business and financial affairs. "The investment is consistent with the university's overall strategy of investing university funds in a manner that will generate stable income and growth over time and can fit well into the university's endowment." Brock said the university does not anticipate any changes in the commercial office nature of the building, which is 100 percent occupied. All current leases are being honored. Among the building's current tenants are Daxko, o2 Ideas, Bond and Botes PC, and Alabama Banker's Bank. "We hope to continue the long, positive relationships with current tenants that Daniel has maintained," Brock said. "Many of those tenants also have long-standing relationships with Samford, and we value them as friends and neighbors."